Several times each year, my friend and colleague Terry Jennings organizes a CritiqueFest for the MidAtlantic chapter of the SCBWI. Once-again, Terry asked me to facilitate the session for a group of illustrator-authors. Like last time, several participants submitted book dummies, however there was one woman who planned to attend as an illustrator-only. In the past, I’ve used my own cobbled-together versions of various picture book manuscript checklists to help me with my reviews, but these checklists deal with the manuscripts and not the art. I went looking around the interwebs for information about book dummies and found several posts on what should or shouldn’t go into a portfolio, several on promotional postcards, and some helpful advice about the technical aspects of creating book dummies—but only one post that addressed the art of the dummy, and I couldn’t find a critique checklist at all. So I decided to put together my own worksheet. I asked around in a couple of places and got input and feedback from my virtual studio-mate, Tami Traylor; the members of Kidlit 411; The Illustration Department; and Smart Dummies creator, Dani Duck. I tested my worksheet out in my reviews this week and I think it worked pretty well, so I’m sharing it here in case you’re working on a dummy and need some reminders for self-review, or your illustrator critique group members are adding dummies to their portfolios, or any another reason, really. Although I included a section on individual image composition, it is meant to address the individual sketches specifically as part of the whole book, and is not intended for robust single-illustration critiques. I did not include critique etiquette guidelines in my worksheet because many good resources already exist. Remember to play nice in the sandbox, and make good art. Copies may be shared and printed for personal, educational, and non-commercial use. 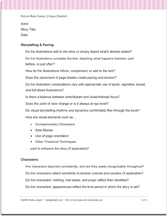 If you share this worksheet I’d appreciate the credit, and if you use the worksheet, I’d love to hear your feedback! Because I seem to be writing more these days than drawing, here’s my entry for Vivian Kirkfield’s 50 Precious Words contest. TONS of amazing tiny stories are in the comments of Vivian’s contest post. As my professional word for the year is VOICE, I figured why not write a little thing about that? 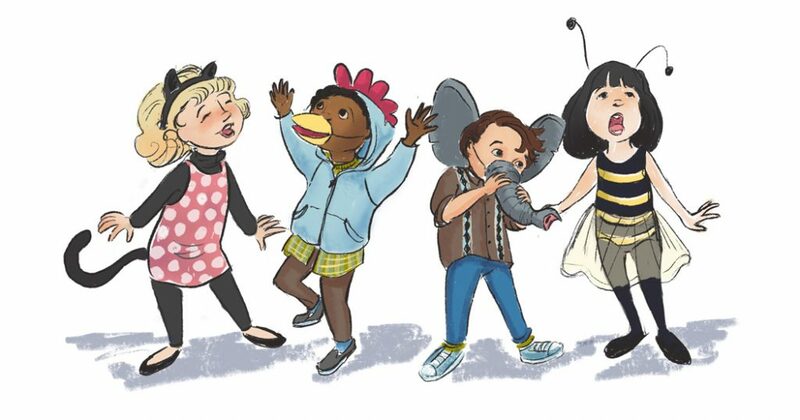 My super virtual studio-mate, Tami Traylor was inspired to make this adorable illustration to go with it. And then she entered the competition too! Yeah! “What do YOU Say?” – 50 words. All the animals can talk. Your voice is important too! You know what you want to say! Sing out loud then take your bow. “Happy Thursday!” – The 3rd Annual Valentiny Writing Contest! Ok I totally wasn’t going to write anything for Susanna Hill’s 3rd Annual Valentiny Writing Contest. I really wasn’t. I’ve been way to busy to think of anything. So of course while playing “Whack-a-Mole Sunday” –jumping around from cleaning, to kid projects to bedtime– I accidentally came up with an idea. It also helps that I’m currently enrolled in Susanna’s Making Picture Book Magic class, and it would appear that whenever she says “write something,” I can’t help but write… something. The rules: Write a Valentines story appropriate for children (children here defined as ages 12 and under) maximum 214 words in which someone is hopeful! “Happy Valentines Day, Toad!” called Mouse, skipping past the gate. “Oh. No.” Toad sighed, “Happy Thursday!” He picked up the morning paper and slammed his door. Mouse scratched her head. “But… it’s Wednesday,” she thought. Mouse frowned. She still had 223 more Valentines to deliver! She slid Toad’s under his door. It slid back out again. Mouse was steamed. She plucked up the Valentine and stomped away. 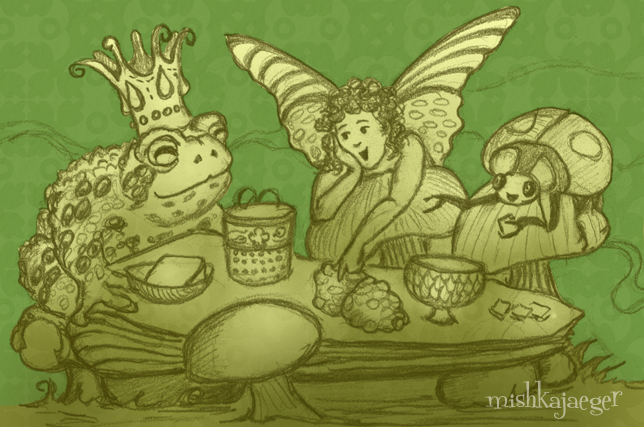 At suppertime, Toad leaned on the gate watching Mouse shuffle back up the path. Mouse felt sad. Toad had a point, but she didn’t know what to do. “Do you want to come in for pizza?” Toad asked. Relieved, Mouse smiled. She was tired and had forgotten to eat all day. oooooh! Congratulations to the all the winners, honorable mentions, and EVERYONE who made time to write (and read) some great ValenTINY stories! And THANK YOU to my pocket-muse, Susanna Leonard Hill, for hosting another great competition! While I wasn't among the winners this time, My ValenTINY placed an honorable mention for "For Conveying A Great Message"
Can you believe it? It’s Susanna Leonard Hill’s 7th Annual Holiday Contest! The rules: Write a children’s holiday story (children here defined as approximately age 12 and under) about A Holiday Surprise! Any kind of surprise – anything at all! – the more unexpected the better!, but is not to exceed 250 words. 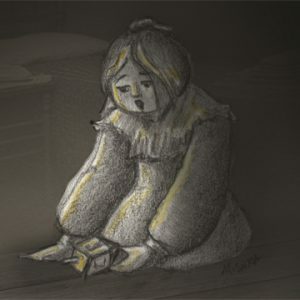 It was the first night of Hanukkah and everyone had gone across to the Mazur’s for latkes, leaving Binah alone to think for the first time since she arrived. She could still hear them through the walls. It was always noisy in the crowded tenement. Binah missed the village where she’d lived with Zayde, Bubbe, and Papa. She could run through the nearby fields and breathe fresh air! Last spring, the pogroms began. Every week bought destruction and fear. One day Papa disappeared. In August, Binah was sent abord a ship to join family in New York. Kneeling near the stove on the cold kitchen floor, Binah dragged her overcoat from under the narrow bed she shared with her cousin Sally. She fumbled in the pockets until she found the large wooden dreidel Zayde tucked inside that day she had to say goodbye. It was large and lopsided, just like Zayde. Binah wondered if she’d ever see him again? She stood the dreidel on end and tried a spin but it toppled right over showing the lucky letter, gimmel. Looking closer, Binah noticed a tiny crack. She put her thumbs on the gimmel and pushed. The side slid open. Tickling her fingers into wool batting, Binah pulled out a coin, then six more, a gold watch, pearl earrings, and a little paper scroll. I’ve missed participating in the last couple of Susannah’s contests so I really wanted to write something for this one. I’m still very attached to the characters I created for my very first holiday contest story, Sometimes, a Pigeon. This new story is about one of those characters. It’s also inspired, of course, by my own family history and a couple of visits to the Tenement Museum in New York (If you’re ever in New York, you MUST go!). Thanks Johnelle DeWitt, Tami Traylor, and my husband, Bill, for their feedback! For some reason, this year has been busier than usual. I haven’t had a lot of time to work on personal projects, and so this blog as well as my Twitter and Instagram accounts have been dormant for a few months. So I’m not doing that well in the social media/follower departments. Apart from managing our household and the lives and endless paperwork (overnight diapers still included) of the 3 and 5 year old Jaegerlings, I can’t complain that it was paying contract work from my main client, k12.com, that ate the remainder of my free time! Whatever higher power placed me with K12 14 years ago sure has a sense of humor since, once again, I’ve been working in my worst academic subject – math! Trust me, it’s a lot more fun for me to graphic design and code it than it ever was for me to study it. Ah well. In addition to the craziness of this year, my husband got laid off from his proposal manager position this week. Well then! It’s certainly going to be an interesting next few months as he very well might be joining me in the consulting and contracting world. For right now, if you need any freelance writing, editing, resume formatting, grant application or proposal work, he’s your guy. If you need graphics I’m your gal. Hmmmm maybe we could work together? That’s so crazy it just might work! What could possibly go wrong? Check back with me in a few months. In spite of all this, I HAD to make time for my favorite muse, Susanna Hill’s 6th annual Halloweensie competition. This is the 5th piece I have written for Susanna’s competitions. The parameters, restrictions, and deadlines are great for exercising the puzzles of character, plot, and wordcraft for me. So for this, I will make time! 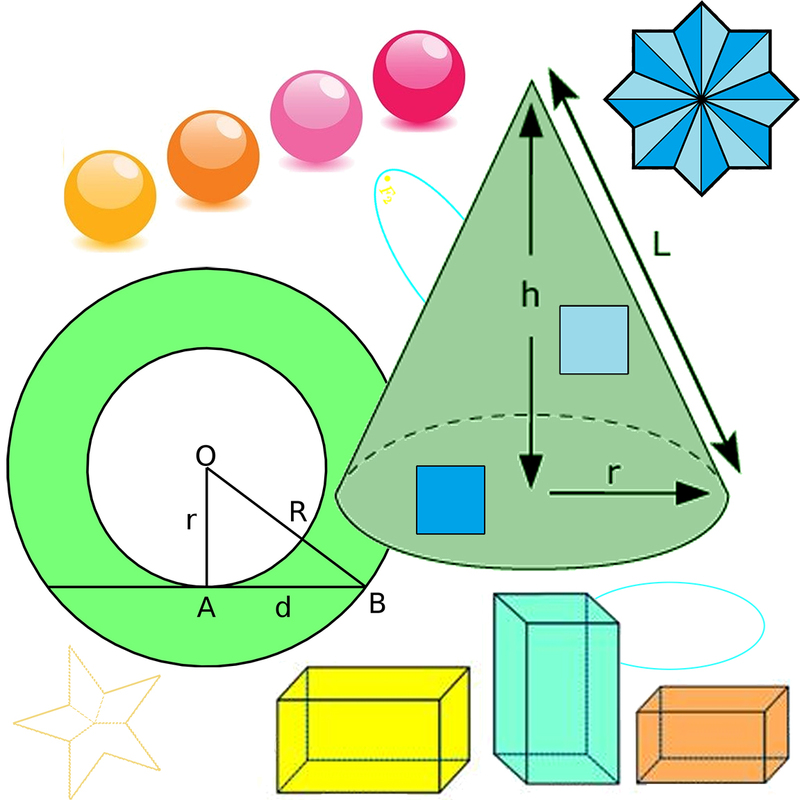 And then… back to geometry for the remainder of November. The Contest: write a 100 word Halloween story appropriate for children (title not included in the 100 words, children here defined as 12 and under), using the words spider, ghost, and moon. Read the other entries in the comments beneath Susanna’s contest post. Or on the Linky List Page! 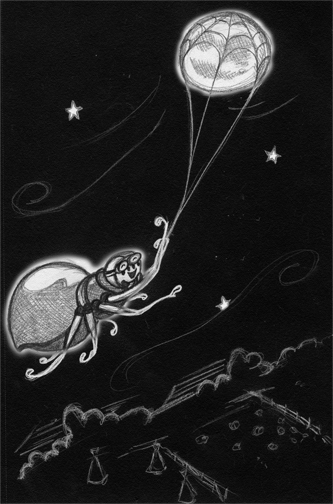 “She thinks she can catch the moon,” scoffed Umber. “Your magic moon is rising.” Umber sneered. Silver’s web had bridled the harvest moon! She ghosted across the sky in its wake. At last she was off to see the world!